Looking for fresh apps for your iDevice? 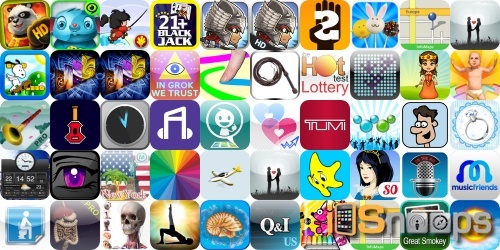 We’ve found 48 great iPhone, iPad and iPod touch apps that were released over the last 24 hours. This new apps alert includes Cake Pops, Enscripted, Battleloot Adventure, Wallpapers for iPad Retina Display, Blackjack 21 +, Tiny Jump, Cheese Please, and many others. For real-time app info, check out our iPhone Apps and iPad Apps sections, as well as our Apps Charts.